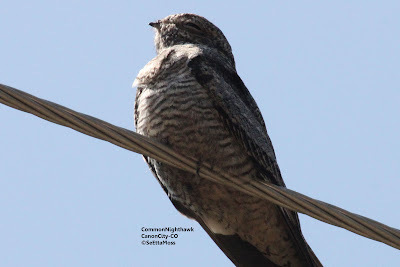 I spotted this Common Nighthawk sleeping on an electric line yesterday. 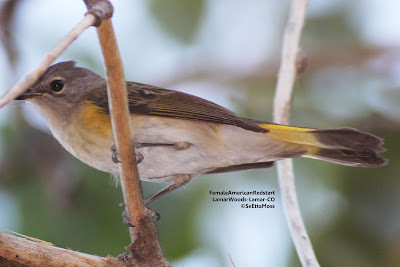 Though the line is fairly thick, it is amazing that these birds can balance themselves while asleep. 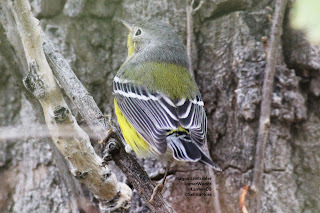 I got to do some birding in the migration hotspot called Lamar Woods in Lamar, CO this past week in between setting up for our Audubon Colorado board meeting in Lamar (a first) and an Audubon work project to help the Lesser Prairie-Chickens south of there. 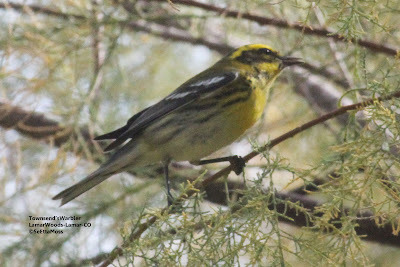 This is a fall Magnolia Warbler which is somewhat rare in Colorado. 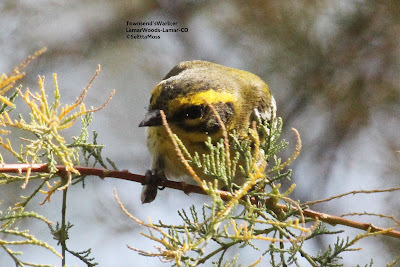 Identifying field marks are gray head with bold white eye ring, streaking (though muted in fall) on flanks, two white wing bars, yellow throat and underparts, white undertail coverts (glimpsed in lower pic)and greenish back.